Category Archives: Recent Work – Tech Crops Int. Author: Steven Lampon	Categories: Recent Work - Tech Crops Int. Logo designs for Premium Crops, merger of Premium Crops and Tech Crops . 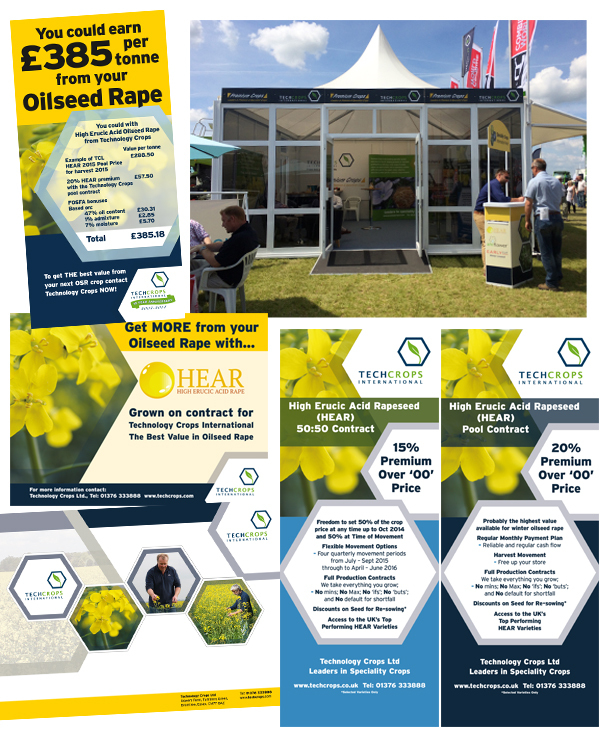 Cereals is the leading technical event for the UK arable industry with over 64ha of stands and live demonstrations including Crop Plots, Working Cultivations, Sprays and Sprayers, Post-Harvest Technology, Business Area, Potatoes and Renewables. Tech Crops required graphic panels and boards, literature for their stand and a relaunched web site to coincide with the event. comments: 0 Categories: Recent Work - Tech Crops Int. Technology Crops supply speciality oils to some of the most respected companies in the world. Speciality oils are produced for cosmetics, nutritional supplements and high-end industrial processes. They command a premium price and growing them can be profitable and sustainable. 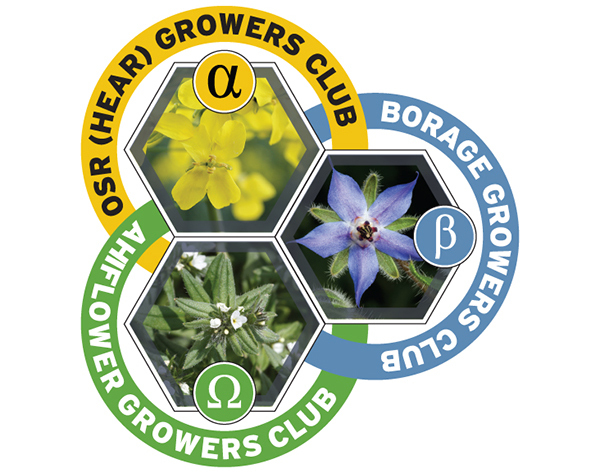 The Growers Club logo was created to show the integration and sharing of specialist information of the three main products.